‘Not exactly Danny Bhoy, is it?’ An Irish woman presumably out for a rollicking night of mainstream stand-up comedy has chosen/been dragged along to a show in which a man with cream slacks, white slip-on shoes, plain shirt, 70s semi-kipper tie and hair that’s beyond description has just convinced a portion of his audience to pass round an imaginary phone. Into which they are ‘listening’ to a distraught woman whose cat has recently gone missing and has taken grave exception to our host’s somewhat insensitive comments. 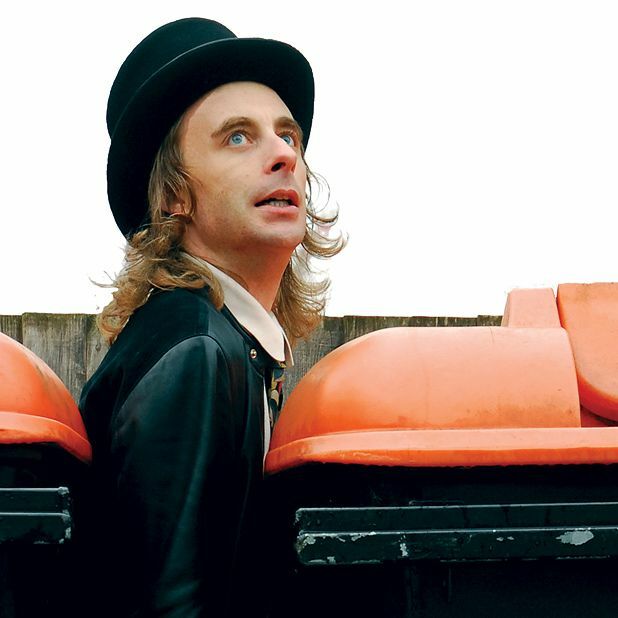 Welcome to the off-kilter world of Paul Foot, a man who attracts a clientele which he dubs the ‘comedy connoisseur’ and whose show this year, Ash in the Attic, is being directed by Noel Fielding. Having witnessed Foot in the same Underbelly room last year without such an esteemed star on board, it’s not instantly clear what the Boosh boy has brought to the table, given that the comic’s mania is in full flight from the off. Within seconds he is over-analysing the conventions of an audience applauding an act as they come on stage for the first time, cavorting in pseudo-anger about the public image of the humble shire horse and acting out a fairy tale with a non-PC cuddly toy. These three elements contrive to take up about 45 minutes of the show, the other 15 take place on that imaginary phone. Being blunt, none of the above words really get any kind of handle on the experience of seeing Paul Foot live. That just happens to be a wildly divisive yet oddly invigorating hour out during a Fringe full of bog-standard observational stand-ups. But if you really do want Danny Bhoy, you should probably know where to find him. Underbelly, 08445 458 252, until 29 Aug (not 16), 7.40pm, £9.50–£10.50 (£6.50–£9.50). The comedian answers questions asked by his director.